If you are lucky enough to be in New York between now and Christmas, add an extra entry to your 'unmissables' list - MoMA’s first major exhibition since 1938 of Bauhaus work. Still the most famous school of avant-garde art, the Bauhaus was the quintessential collaborative community, producing stuff that no-one had seen or thought of before, in a place no-one had thought of building before. Formed in 1919 and at it's peak during the early Weimar Republic, the school's ethos was to embrace functionality, and its experiments with design have had a lasting influence on visual communication - most notably in advertising, interior design, and print layout (eg check out my post about Barak Obama's campaign posters). This exhibition features a mind-boggling four hundred works that reflect the broad range of the school’s output in graphics, architecture, painting, furniture, industrial design, photography, textiles, ceramics, theater design, and sculpture. And most are by some of the great names of 20th Century Art - Vasily Kandinsky, Walter Gropius, Paul Klee, El Lissitzky, László Moholy-Nagy, Lilly Reich and many others. 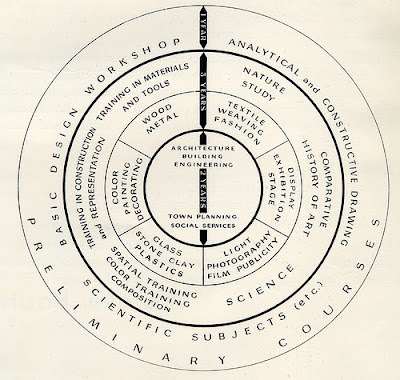 For me, the Bauhaus revolutionised the teaching of the creative process, fusing the connections between many different disciplines into one practical approach. The results were always original and often way ahead of their time. 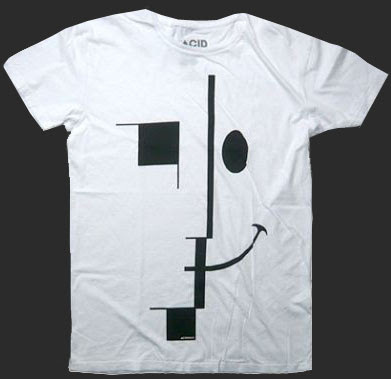 And of course the enduring power of the Bauhaus is the way in which its typography, visual layout, creative spirit, and unique reputation seems to inspire students when they first encounter it.